Just as many real estate sales and investment experts predicted, 2017 has seen the San Diego housing market continue its relentless climb. In fact, this May, the San Diego median price of single-family homes hit record highs, exceeding $600,000. And homes are scooped up swiftly — on average detached homes sell in 27 days; condos and townhomes in only 19. Coronado is, of course, no exception to this flourishing market. The median value for a single family home hit $1.75 million in May. But while the greater San Diego area has seen an eight percent increase in median value for all types of homes, Coronado has only risen about one percent. Jeff Tyler, real estate agent with Ascent Real Estate who specializes in Coronado residential sales, explained that the smaller increase can be misleading in the Coronado market, since it looks at price increase for both detached and attached homes. Last May, the year-to-date median sold price of a detached Coronado home was $1.66 million; since then Coronado has seen a 5.4 percent increase in single-family homes, specifically. But between May 2016 and May 2017, the median value of attached homes (i.e. condos) remained virtually the same, hovering around $1.085 million. Because tracked market numbers look at value increase across all types of homes, the stagnancy of Coronado’s attached homes makes the overall market appear to have smaller growth. Meridith Metzger, a real estate agent with Berkshire Hathaway, explained that Coronado was one of the last communities in San Diego to experience the effects of the great recession of 2008. It was also, along with other coastal communities, among the first out. “Since the Coronado market bounced back to 2006 levels long before other communities, our increases will be lower than gains made elsewhere in San Diego, because a lot of those communities experienced more severe depreciation in housing values compared to Coronado,” Metzger said. There are currently about 140 listings in Coronado, with an average list price of $3.1 million, according to Quesada. Tyler explained that the lowest detached prices begin at approximately $1 million on Third and Fourth streets and range from $1.3 million all the way up to more than $13 million in the Village. The Coronado Cays, he said, is typically $200,000 to $300,000 lower than the Village. The Coronado Cays, four miles south of the Village along the Silver Strand, offers a slightly more affordable way to buy in 92118. Daron Case, agent with the Cays Realty Group, said the average price per square foot is less in the Cays, so buyers can get more home for their dollars there. And, even though it’s outside the Village, “The Cays is the only waterfront community in California south of Newport Beach. It was fully built out in 1990, so it doesn’t have the density and parking issues the Village is currently experiencing,” Case said. 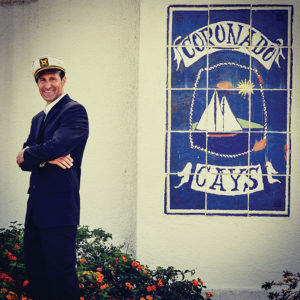 Furthermore, he explained, Silver Strand Elementary School is a high-performing public school adjacent to the Cays, and the Coronado Cays Yacht Club and restaurant and convenience store, Calypso Café, are nice amenities for residents. Case said there’s slightly less inventory in the Cays, and homes there tend to sit on the market a bit longer, “Largely because Cays waterfront homes cater to very unique buyers, many of whom own boats, and dock size can be an important factor,” he said. Case agreed that experts predict the Fed will be raising rates into the foreseeable future, so, he said, “now is a good time to re-finance or purchase to lock in a rate while they’re still historically low.” According to Tyler, rates are still hovering around four percent. Overall lending has improved since the market plummeted in 2008, but lenders are still conservative. Buyers, who Kavanewsky says need to move very quickly on a sale when inventory is so low, should look for lenders that have access to multiple loan products. “That way, if a buyer doesn’t qualify for one loan, the lender can possibly find another one they will qualify for,” he said. Lenders with access to multiple banks and investors, he explained, can take a buyer’s specific factors and match them to the best product. “Ask lenders if they can commit to full approval prior to going under contract, distinct from prequalification, or preapproval. This puts buyers in a stronger position to compete for the few properties available in Coronado,” he said. Though some real estate experts have predicted the coming years could see another crash in high-priced cities like San Diego, it doesn’t seem likely. “Real estate is simply the best investment people can buy, and San Diego continues to see an influx of families and job growth,” said Tyler. Metzger agreed. “One of the strongest indicators for a robust real estate market is a strong economy and low unemployment rate — San Diego has both,” she said. And as long as walks along the beach, ocean breezes, good schools, and a strong sense of community remain in favor, it appears so will the Coronado market. 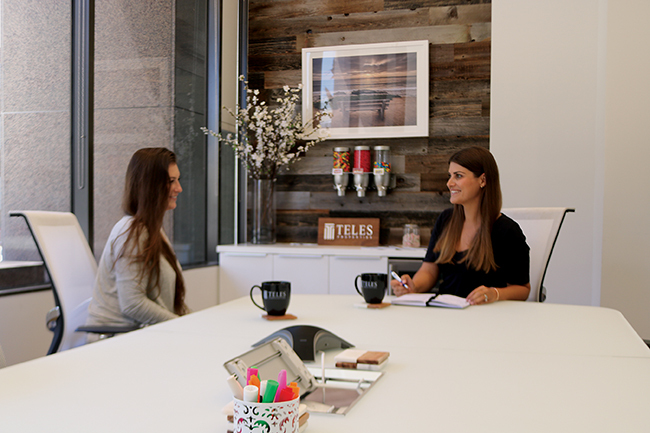 Real estate agent Kristina Quesada discusses Coronado buying options with a client. Daron Case, real estate agent with the Cays Realty Group.